For somebody who needs one, a portable massage table can be a brilliant investment. 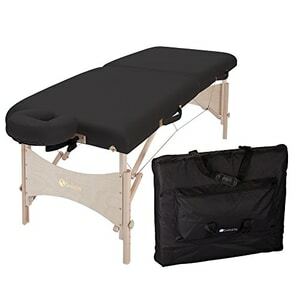 Whether you are a professional masseuse needing to take it to appointments, or an amateur, there are aspects of a best portable massage table that have to be realty considered before you can spend the money on one. Firstly, should be are you going to use it? That’s possibly the easiest to answer and if the conclusion is that you will then you will have to look at the great variety of tables on offer for what you need out of the table. How to Choose the Best Massage Table? The Earthlite Harmony brings together a variety of nature friendly materials to create a professional quality massage table from sustainable and eco-friendly materials. This table offers a huge range of available customization to customize the experience of the user and help those providing the massage. The face cradle and the top cushion can both be altered to several different positions which are best suited to the desires of the customer and improve the quality of the massage given. Its frame is crafted from hard maple wood which provides it with an incredibly solid platform able to support a very large weight relative to its size and price. The decking is also made from Russia plywood to provide an extra layer of strength to the frame. Despite the use of fairly heavy wood to build the frame, the table itself only weighs 34 pounds making it fairly light and not too troublesome to transport. It has a working weight of up to 600 lbs which is an extremely high ratio given a table weight of just 34 pounds. The legs and braces are made from responsibly farmed and cultivated hard maple. The upholstery is made from an Earthlite technology called ‘Nature’s Touch 100% PU’ giving a very natural feeling to the mattress. Available in 4 different colours: black, teal, burgundy and mystic blue. Includes a cabling system to give the table’s top extra support allowing it to bear a greater weight. The mattress consists of 2.5 inches of dual layer cushioning to provide a hugely comfortable experience. The cushion and the upholstery are given a year 3 year warranty by the retailer with the frame being given a lifetime warranty. Full length piano hinges down the central spine to allow for great flexibility and also great durability. A simple system of ergonomic knobs to create a simple system of adjusting the positions of the various moving parts of the table. Comes accompanied with a 30 inch nylon carry case for easy transportation. For its price, it is among the best tables available on the market due to its relative strength and the company’s use of responsibility sourced materials instead of using whatever would be cheapest. This commitment to using quality products to create their table gives it a very strong and natural feel, enhancing the experience of the massage. Its size is a perfect balance of being sturdy enough to support the vast majority of people and allowing relatively easy transport. This is also aided by the inclusion of a very strong nylon carry case used for carrying the folded table. The adjustment system works very well to allow customers to have a more personalized experience than most tables will give, coupled with the quality of the product this helps to enhance the quality of the service given. The mattress on top is extremely comfortable and due to the quality of the craftsmanship feels completely secure even under larger patients. Its system of hinges and knobs makes adjusting the height or angles of the table extremely easy as well taking up minimum time and can easily be changed during a massage if need be without causing trouble for the flow of the service. Whilst only being an aesthetic consideration, the multitude of colors available is also useful as people who may use this mostly in a certain setting will be able to choose the colour which comes closest to the palate of their home or studio. The quality of the mattress is excellent. The quality of the craftsmanship is immediately noticeable with the quality of stitching and the construction of the frame. The material used for the upholstery is also brilliant and gives customers an extremely luxurious experience. Almost all of the materials are specifically sourced from environmentally stable areas and plant species. It’s the perfect size for a portable table which allows you to be able to service customers who are a huge range of sizes, without being very difficult to transport thanks to the quick folding system and the good quality bag. The face cushion is not made of the same quality material as the rest of the top giving it as slightly uncomfortable and plastic feel. The design of the table is very basic and could allow for greater variation in the look of the product to increase its function as well. 2. 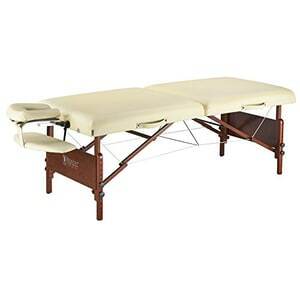 Master Massage Montclair – Ultra Comfort Portable Massage Table with Memory Foam, Anyone? The Montclair adds an extra inch or two of width over most tables to allow more freedom of movement for people lying on the mattress. They have equipped their table with a Sculptured Ergonomic Dream Adjustable Face Cradle to increase the comfort of the face and the adjust-ability of the appendage allows the masseuse to give a more personalized experience with the ability to focus on certain areas within the neck. It also uses a Memory Foam Layered pillow to give the tablet top an incredibly comfortable feeling to increase the quality of the massage and also give the table itself the feeling of true quality. It’s upholstery is very detailed to also add to this image and to purvey a product which is made with care. The mahogany base of its frame also helps to make the table look as though it has been well designed and created using high quality materials to add to experience of a massage. Comes with a 1000 pound tested, aircraft grade, steel cable support system which push the working weight of the table up to 750 pounds. Also comes with an attachment of a padded armrest to be added onto the side of the table to allow for the use of different positions and allowing the masseuse to target different areas of the body effectively and comfortably. 3 inch layer of multi-layer small cell foam which includes 1 inch of memory foam for a much more comfortable experience lying on the table. Reiki leg panels to add to the strength of the base. The ‘wide shouldered’ shape of the mattress on the top of the table means that you get 26% more cushioned surface for extra space to manoeuvre on the table. Water and oilproof UP upholstery for added longevity in the fabric. Duo-plane hinges to add to the strength down the centre of the table. Option for shiatsu cable release which allows the table to drop to the floor to add another dynamic to the massages that you can offer. 1000 pound tested cable which allows the table to support a working weight of 750 pounds. Some may not like that fact that it is only available in one colour as the combination may not suit the room in which is going to be primarily situated, however the combination of the quality black leather and the dark mahogany look extremely stylish and give the table a look of great quality. The luxurious 3 inch mattress also adds to this by providing an incredibly comfortable place to receive a great massage. The size provides an incredible base for giving a massage of absorption and indulgence. Given the size of the top it could possibly be difficult for a smaller masseuse to navigate around and provide a full body service. This is only a tiny inconvenience however as the size brings the ability to accommodate people of any size onto the table who are looking for a massage. Oil and waterproof upholstery is a great feature as it prevents the material covering the mattress from becoming damaged from repeated usage meaning that its quality will last for far longer than if it were being harmed by the contact of massage oil. They also include quik-set leg knobs which will allow for quick adjustment of the height should it be needed, meaning that any changes made during a massage can be done very quickly without disrupting the flow. The size of the table however could be an issue if you don’t have any help for transporting it over medium or long distances. The ability of the table to drop down flat on the floor easily is a great feature as it allows you the option to offer a far wider selection of massages and cater better to the needs of the recipient. Shiatsu mode is brilliant for offering a wider variety of massage options with a more physical slant. Extremely high quality mattress giving anyone lying on it a great feel for what they are getting, this is also complemented by the ability to adjust aspects such as the headrest or put the armrest in place. Stylish look created by using high quality materials adding professionalism to your massage service. Extremely strong and well-proportioned to allow even very large people to feel comfortable on the table. Can be difficult to transport given the bulk of the top and a carry case that isn’t brilliant. Unable to customise the look of the table may put some people off. Earthlite promote a sustainable method of constructing their products by using only materials which come from responsibly farmed areas and other sources where they are not putting any undue damage on the environment. The Avalon table is made from very high quality materials to give the table a very professional fee, despite the mid-range price tag. It is designed in a way that allows whomever is using it to alter the angles of the table itself as well as the headrest in order to customise it for the needs of specific customers. The wood used to create the table is hard maple which is milled in California. It also features ½ inch reiki end panels. All upholstery on the table is stitched by hand over the 2.75 inch thick dual layered cushion which sits on top of the sturdy wooden frame. The test steel cables which are included in the design offer fantastic levels of strength for the table giving it a max working weight of around 750 pounds, complementing the quality wood used to build the table. The base is shored by stablefoot tracking pads which prevent the massage table from moving around in the middle of a service. Its length and width are obviously set but its height is adjustable from 23 up to 33 inches. Hand upholstered topper which uses a special cover of Natursoft oil and water-resistant fabric to create a very natural feel to the mattress whilst also giving a very high quality look. Earthlite’s patented Flex-Rest self-adjusting face cradle which allows users to relieve sinus pressure when receiving a massage which is done to help them relax more. The way that the table is put together using a hardwood dowel jointed frame with the same hardwood corner blocks and the hard maple used to make the legs, the table is completely free of squeaks or other distracting noises. 1000 pound test aircraft grade steel cables threaded throughout the underside of the top decking provide even greater strength to the frame. The great quality materials used in the construction of this table mean that for the price tag the quality of the table is really excellent. The 2.75 inch cushion is thicker than the majority of massage tables and it really helps to provide a luxurious experience for the user extenuating the experience of having a great massage. The adjustments available to the table also make it extremely convenient for those who may have specific requirements for their massage and need to have the table laid out in a certain way. The maximum working weight of 750 pounds is incredibly high meaning that almost anyone can safely and securely have a comfortable massaging experience using this table. Its size is perfectly proportioned so that it is comfortable for people to use and also remains easy to transport in the very high quality case that comes with the table. Having the table come in 8 colours really allows a buyer to think about what would be the best look for their table depending on where it is going to spend most of its time. The design of the panelling coupled with the use of quality wood and beautiful upholstery make the table look very attractive, however the design is very simplistic and other than the alterations available for the back and neck areas there are little other ways to alter the massaging experience. The extra thickness of the cushion brings a huge increase in comfort compared to most tables giving the massage a great feel. Beautiful upholstery and craft work which adds both great aesthetic appeal and a very high level of functionality. Very high quality bag which comes with the table which makes transporting the already fairly light table even easier. The adjustable neck rest allows a masseuse to really work different areas of the neck more effectively and better solve problems in that area. The deep ridge in the middle of the mattress is necessary for transport but could do with being smaller to make the mattress more comfortable. The height adjustment is good but there are obstacles under the table which can make sitting right next to the table to perform a massage difficult. 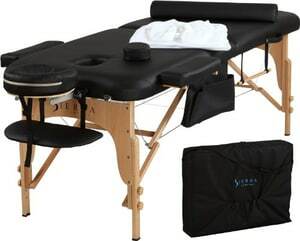 The Sierra all-inclusive portable massage table is a high end product made of fine materials to try and give the customer the highest possible quality. This table offers a variable experience that allows a user to immediately start working with it in a range of different ways. The table itself contains many different features giving it this variety as well as an ease of use which can be difficult to find in other tables. When ordered it also comes with a number of accompanying products to complement the table and to make transportation and storage of the table far easier. These include a carry bag with which to transport the table around, along with storage underneath the folded table to keep the other accessories organised and safe when moving the table between locations. A set of fitted sheets also come with the table to be placed on top when in user to protect the deck from being marked or damaged by massage oils or simple wear and tear. High quality beech frame to give the table a natural aesthetic out of a hard wearing material. 100% natural cotton fitted sheets to place over the deck when using the table to protect it from the massage oil or the damage of people moving over it. A sturdy carry bag able to carry the entire table and all of the stored products at once to allow for simple and easy transportation of the materials. Removable facial cradle to provide an extra aspect of comfort to those lying on the table. Detachable arm supports and arm rests to allow the user to extend their arms out to the side comfortably. One of the strongest tables on the market for a reasonable individual price. The luxury of the top provides an incredibly high quality experience from the moment that you first set it up to use. Made from material of obvious quality it gives a stable plat form to give you easy access and security to help you start using it straight away. It comes in a pop-up form so the setup is incredibly easy and is completed without any effort or knowledge of the engineering of this kind of table. The facial support and the armrests give the table even greater functionality than simply big a good size and well put together, it gives both the user and the recipient an incredible level of comfort when using the product. Despite the excellent quality of the materials used, especially the strong wooden frame, the table itself is fairly light and not difficult to transport for a table of it’s quality. The height adjustment feature is extremely easy to use and can quickly allow a user to bring the table up or down to meet their specific needs. Problems with the quality of the latches can provide a small inconvenience when using the table and setting it up after a transport. It’s strongest point however is most certainly the level of comfort in using it as the upholstery as well as the mattress itself provide an incredibly relaxing and high quality feel. The table’s greatest strength is probably the quality and care taken over the construction of the he deck. They high quality mattress and casing make the mattress incredibly comfortable. The shape of the table allows people on the table to be lay down in a variety of positions allowing for much greater flexibility. Given the quality of the thick wood which makes up the frame, the table has an extremely strong base. When using the materials that they have it would be easy for the table to become too bulky and immobile. This is not the case however with the table being fairly easy to carry and made all the more convenient by the inclusion of the carry case in the purchase. • The storage in the board which allows it to keep all of the add-on items organised makes transportation of the whole kit much easier. The latches can soon become difficult to open and close which limits mobility. Having a detachable facial cradle makes this less stable and prone to damage. Slightly fiddly to handle to controls to adjust the height or close the table down. 5. Master Massage Del Ray Pro – Staggering 1,500lbs Weight Support with Balance Support & Comfort! This massage table is designed in a very sleek style using extremely high quality products to give it a very up market look. 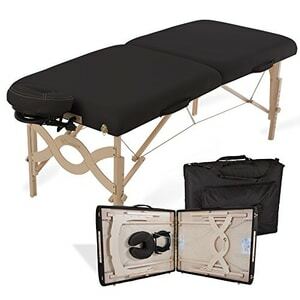 It features a deluxe foam topping of the frame featuring a 3 inch thick mattress incorporating a multitude of technologies to give the massage table an extremely high quality feel adding to the feel of a good massage. Simplistic upholstery gives the massage table a great stylish look along with the quality, the guarantee for the upholstery is 5 years to ensure that it won’t peel or be damaged by wear and tear. To improve the functionality of the table there are Quik-set knobs which will cut down the adjustment time by 70% in order to save time before or during a massage to greatly improve your efficiency. This mattress comes in a sandy colour which contrasts brilliantly with the dark brown of the mahogany frame giving it the perfect look suited for its intended targets: spas and resorts. The cushion is 3 inches thick with multi-layer, small cell foam covered in an oil and waterproof upholstery to prevent it from any damage from humidity or massage oils. Aircraft grade steel cables to support the frame and give a working weight capacity of 750 pounds. An auto-lock leg system which makes the set up much easier and far less time consuming. Duo-plane hinges to provide a stronger central base for the top of the massage table. Ergonomic, memory phone face pillow which can be quickly adjusted to suit the specific needs of the consumer. This package includes a large padded armrest which can greatly improve the variety and quality of a massage. It also includes a deluxe carry case which helps solve the problem of the table’s weak handles and makes carrying the large table slightly easier. Comes in one variety with the base a lacquered, dark beech wood and the cushion being a light sandy colour. The strongest feature of this table is simply the quality of the mattress, it’s cushioning provides a great addition to any massage and makes the entire experience even more comfortable. It has a great look and a wonderful feel of true quality, even for a very competitive price. Its robustness is also one of its biggest strengths with its ability to hold very large weights and its design of being wide shouldered and more easily supporting the top half of a large person’s body. This gives it a very secure feeling for both lying on and performing around. The rubber feet at the base of the legs are brilliant as they help to prevent any movement of the unit whilst it is being used. Whilst it is still a portable table with handles to transport it around and it not being too heavy to take on short distance trips. However it is very heavy for a portable unit with all of the extra parts in the case so it may be off-putting to have to carry something so bulky over long distances. The carry handles on the table itself also feel fairly weak in comparison to the size of the table. On the other hand, the facial pillow is brilliant as it incorporates memory foam and allows customization so work can be done on various areas of the neck in one massage. Table feels incredibly durable given the use of quality materials and 5 year guarantee which allows you to become much more confident using it. The facial pillow is excellent quality, a good size and includes memory foam which makes it extremely comfortable. Very easy to set up due to the quick set adjuster knobs which allow set lengths for the legs as well as the swiftness of the adjustments to the head pillow. The look is extremely professional and stylish, not too complex but with great additions such as the arm rest which can provide greater variance to the massages. The handles on the table itself are very weak and are unlikely to last many journeys with the table. The facial pillow material is not as thick as the rest of the cushion and may wear out a lot faster due to more regular skin contact. 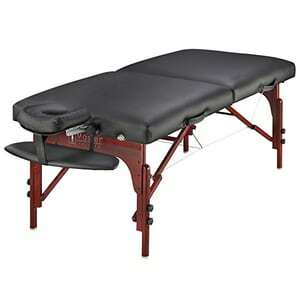 There are a huge variety of different aspects of a massage table which may influence your decision to buy it. Some tables offer the ability to alter parts of its design allowing you to create a customized table to best suit your needs. There are so many different questions that need to be considered when investing in a product such as this. Obviously, this is always going to be one of, if not the, most important aspect of buying anything, especially something which constitutes an investment of this size. It’s always best to buy the best that you can afford in order to give yourself the best chance of finding a product that will last the test of time. If all you can afford is one of the most basic models then taking care of it is going to have to be a priority. The cheaper the model the less likely that it is made from high durable, high quality materials. But if you are able to invest in a high end option then this is likely to not only provide the best experience for those using it but also be functional for a longer time than cheaper models. Different people are bound to have different requirements for when they receive massages. Most portable tables are adjustable from the legs so that the height is different depending on who is giving and receiving the massage. However other aspects of adjust-ability may be influential when making your decision. Altering the angle of the bed or the position of the headrest could also provide great experiences for the people receiving the massages and make the bed much more convenient to use. There are any different materials which can be used to construct the frame of a massage table and each drastically changes the functionality of the massage table and gives it set purposes which can be used. The most popular material used for the base is wood and this can provide an incredibly strong base for a table. Wood’s aesthetic is also far more popular than most of the alternatives due to its natural look. Its downfall however can be the weight it gives to the frame compared to another material such as aluminium. Thinking about how often the table will need to be transported and how much space is available to store it, the material that the table is made of will need to be considered. Aluminium is also much more durable and stronger than wood which can be damaged far easier. A choice between the quality of the look and the durability of the construction will also have to be assessed. Often buyers believe that it is always best to buy the widest table that they can, however there are others factors to consider which affect the ability of the user to carry out effective massages. Transportation is a key factor in this decision as a vehicle and storage space will have to be found which can accommodate a wider table. A wider table will give the person receiving the massage a more comfortable experience allowing for greater relaxation. However, this when reaching over a board which is very wide it can be difficult to effectively use your talents. If you choose to invest in a table that it very wide then it will help greatly to buy a product to help transport the table without damaging it our over straining yourself. The top of your massage table is absolutely vital to its usability and providing comfort for the people who are going to be feeling the benefits of the massages. It is also important to factor in the potential for damage to the surface and how durable you will require it to be. The higher density the top of the table is, the longer lasting it will be as it will be able to maintain its springiness and quality for far longer than a thinner top. It is always beneficial to buy the highest quality mattress on the table that you can afford as they will certainly be able to pay you back in the long term and give those using the table the highest quality experience. Which Retailer You’re Going to Buy from? Who you buy your table from is vitally important from. 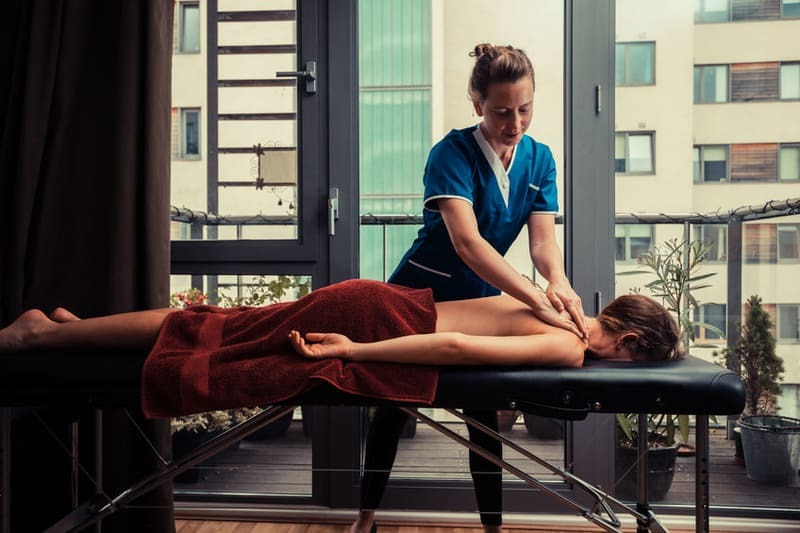 Whilst it is always tempting to avoid spending a lot of money on a single item, it can be hugely detrimental to your efforts as a masseuse if you don’t splash out on a quality table to give your customers a great experience. One of the best ways to ensure that you do invest in a quality product is to buy from a reputable retailer of massage table with trusted reviews and a good reputation. There is no replacement for a good quality table no matter how good the massages are and a great retailer will also be able to help and advise you regarding which table will offer your customers the highest levels of satisfaction. Once a table has been bought, it can last for years and potentially decades with the right treatment; purchasing a good table from an trusted retailer can go a long way in securing a strong reputation for your massaging services. Along with buying from a good retailer, another way to ensure quality in your table is by using a table which carries the name of a brand synonymous with quality produce. In the same vain as using quality retailers, it helps greatly to show that you are serious about providing a great service to customers and with the table being the base of any massage service, it will likely allow you to expand much faster. The lining of the table top can create the feel of the whole massage experience and if it made of low quality of uncomfortable material then the massage won’t be left with the experience that you intend to give your customers. Quality leather will always be viewed as the hallmark of quality upholstery and using a table with this image is going to give the customer a great feeling. It’s not the only quality material that can be used and there are many other varieties that can line a table’s mattress to create a comfortable and functional table to provide a quality service. There are a huge variety of styles available for your table that can each offer specific benefits to your massages and change the experience of the person using the product. Depending of the type of massage that you’re planning on using the table for will have an impact on the type of table you need. Possibly having a table which can turn into a seat or one with an extra firm style to suit a hot stone massage will have to be considered and whether or not your massages are successful could depend on your choices in this regard. Clearly the biggest benefit comes in the title: it’s portable. Having the ability to transport your table to various locations with relative ease brings you a huge wealth of opportunities for your potential massages. If you’re offering a professional massage then taking it into people’s homes and giving them the ease of being in a comfortable environment will give your customers a much more relaxing feel. They are also likely to be easily customizable with a variety of sizes and shapes in order to fit the widest variety of aspects. Often portable tables aren’t built with the sturdiness of fixed tables. With the extra aspects of the portable features such as the folding joints have potential to eventually brake due to repeated usage. If you can’t afford one of the highest quality ones then the chances of it lasting as long as a fixed one are extremely low. Overall the quality of your massage table will convey to customers the quality of service which you provide to the customers who you manage to attract. The best you can afford will provide a worthwhile investment into yourself and make growing your reputation easier than if you were to skimp on buying a quality product. Just as important as this however is finding a table that works for you and allowing you to provide a great service.